GoNoodle tracks your minutes of physical activity to help students become aware of how long they are active each day. This aligns with the CDC's recommendation that kids get 60 minutes of physical activity each day, as well as other recommendations across countries. 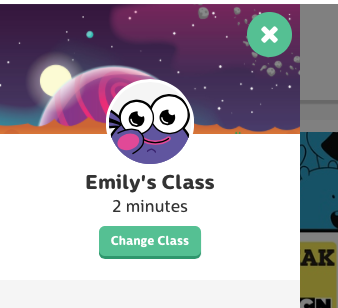 Each time you play an activity, we’ll let you know how many minutes you earned, and your total minutes are displayed below your class name. Note: We do not have a way to reset minutes. If you wish to reset minutes, create a new class.